We come full circle in this 8th and final pillar of INSPIRED health. In this video, Doc shares that toxins in our system are irritants, and irritation causes inflammation. Watch the video to learn more about the importance of regular detoxification. 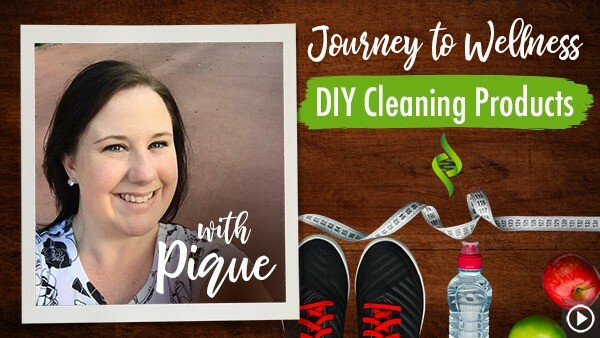 Join Pique’s INSPIRED Health Journey and discover basic tips and suggestions for starting an all-natural lifestyle from scratch! Milan's 21 Day Smartphone Detox Challenge: "Journey to Wellness"
21 days… No smartphone… No tablet… Could you do it? Follow our Copy Director (& mom of four), Milan, as she ditches her smartphone for 3 weeks! Detoxing While Pregnant and/or Breastfeeding: "Ask the Doc"
Can babies absorb the harmful toxins your body releases during a detox? Don’t miss these essential do’s and don’ts for expectant or breastfeeding mothers! If you enjoyed a little too much holiday cheer and are feeling the need to reenergize your body, check out these 7 steps to cleanse and detox. Are you thinking about trying a full body cleanse or detox? 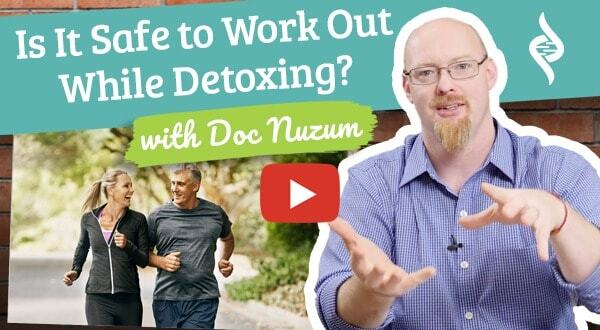 Join Dr. Nuzum to make sure you know the best detox order; your health might depend on it! Get practical tips on how to detox with our Director of Human Resources, Caroline, who was led to the importance of detoxing after a family crisis. Should You Take Supplements While Detoxing? "Ask the Doc"
Is it necessary or even a good idea to take supplements while you’re doing a detox? Dr. Nuzum has the answer in this installment of Ask the Doc. Are You Healthy & Stable Enough to Detox? "Ask the Doc"
Do you ever wonder if your body is ready to undergo a cleanse? Join Dr. Daniel Nuzum and Jonathan Hunsaker to learn how to know when it’s safe to detox. Protecting Your Iodine Receptor Sites From Toxins: "Ask the Doc"
Your body needs iodine to balance hormones and regulate your metabolism, but did you know harmful toxins might be filling your iodine receptor sites? Let’s go talk to Doc Nuzum to find out more! Signs of Vitamin Deficiency on Your Face "Doc Talks"
Did you know that vitamin deficiency symptoms can show in your face? Find out more, plus the surprising reason for adult acne in this installment of Doc Talks. Uncover the cause of abdominal swelling and your bloated, hard stomach as Dr. Nuzum explains how a hormone imbalance can severely disrupt your gut health. Will Sitting in a Detox Bath Too Long Allow Toxins to Reabsorb? – "Ask the Doc"
Will sitting in a detox bath too long cause you to reabsorb the toxins you are trying to cleanse from your body? Stay tuned for “Ask the Doc” to find out! Estrogen dominance is an issue for both men and women. Here are some natural ways to help pull excess estrogen from the body. There are many benefits of using a sauna & evoking controlled hyperthermia. Saunas help to release toxins and can be a great way to boost the immune system. Can I Detox with Only One Kidney? "Ask the Doc"
Do you only have one kidney and you’re curious about detoxing? You’re going to love today’s episode of “Ask the Doc.” Stay tuned! Are you familiar with the term autophagy? What about anabolism and catabolism? Find out why the body needs to break things down before it can build back up. Want an easy way to give your detoxification efforts a boost… with your fingers? Doc Nuzum reveals the best acupressure points that aid in detoxing. Is it safe or even beneficial to exercise while you are detoxing? Join Doc Nuzum in this installment of “Doc Talks” to find out! You might know about the benefits of detoxification, but did you know there’s an order of detox that’s critical? Here’s Doc Nuzum to explain. Should everybody be detoxing? Can detoxification hurt the body? Let’s join Dr. Nuzum in this latest “Doc Talks” to find out! Do you want to help your body detox? Then supporting your liver is a must-do! Here’s 15 milk thistle benefits that reveal the power of this super herb. Gut dysbiosis? What the heck is that? Stay tuned as Doc Nuzum explains the connection between bad gut bacteria and issues like acid reflux and indigestion. Today, we talk about the last letter in INSPIRED, D, for Detox. Doc shares that toxins in our system are irritants, and irritation causes inflammation. Could Your Pet's Drinking Water Be Making Them Sick? Your pet’s drinking water quality truly has an impact on their health and wellbeing. Check out these five tips to get them hydrated and healthy. Are Air Fresheners Toxic for Pets… and People? They’re heavily advertised… but are air fresheners toxic to people and pets? If so, what are some safer alternatives to having a home that smells great? Detox waters are designed to refresh, invigorate, and infuse the body with hydration and nutrients. Learn 5 new easy-to-make detox water recipes. In an age of increased toxic load, the liver should be cleansed regularly. A liver detox can help keep this vital detoxification pathway running smoothly. There are many things in the modern world that can directly interfere with male hormone production. Find out what they are and how to avoid the damage. You can’t live without hormones. Discover how to support the proper balance of your hormones and 8 harmful endocrine disruptors that confuse the body. Good brain health isn’t a given. Just like a healthy body, there are actions you can take that will help keep your mind sharp. Here are 10 great ways. Most cleaning products contain toxic chemicals that aren’t good for your health. Try this recipe for a non toxic cleaner that features essential oils. Typical soaps and body washes often contain harmful chemicals. Avoid these 11 soap ingredients and make your own essential oil body wash. The very best way to know what’s in your personal care products is to make your own. Here’s an easy essential oil shampoo recipe you can mix up at home. Whether your hair is dry, greasy, flaky, or falling out, chances are there’s an essential oil that can help. Discover 5 of the best essential oils for hair. Drugstore brand toothpastes often contain chemicals that aren’t the safest for your body. Here’s a recipe for an easy-to-make healthy toothpaste.